Woodson is an information technology manager at the software firm Health Data Services. He grew up outside Scottsville and attended Fluvanna County High School. He graduated from the University of Virginia in 2008 with a degree in sociology. After graduation, he spent a year in the Peace Corps in South Africa. Woodson was born in Chile and spent part of his childhood in Mexico. ↑ Web. 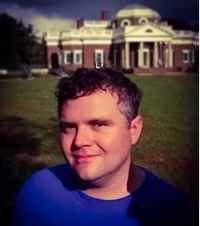 Three independents fail to qualify for City Council ballot, Aaron Richardson, News Article, Charlottesville Tomorrow, January 22, 2017, retrieved December 26, 2017. This page was last edited on 26 December 2017, at 15:14.